GTS VirtualHealth enables brighter outcomes and is transforming the healthcare experience. 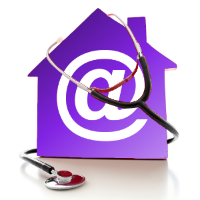 It gives peace of mind to patients and vital information to care teams. This vision for access to healthcare for everyone, anywhere is NOW. 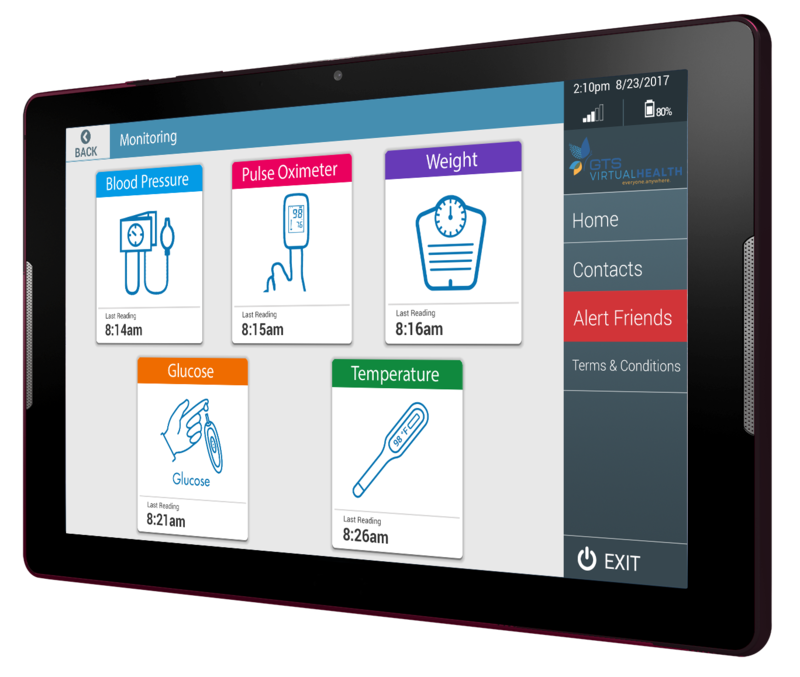 GTS VirtualHealth harnesses the advances of technology to bring a customizable all-device telehealth solution to healthcare. Mobility and freedom for patients becomes reality, and real-time clinical data for care givers means better-informed treatment plans. And this powerful solution instantly and visually connects patients and care providers enabling trust and strong relationships to thrive. VirtualHealth didn’t let me give excuses. I am responsible for my health and I am in control, something I have never felt before. I am healthy because I am in control. For the first time, in a long time, I didn't feel I was completely alone. Transforming data from just information capture to actionable health interactions makes a true connection between the patient, the provider and health conditions. Making data relevant and integrated makes the difference. Trends in vitals with data over minutes, days and months. Medication efficacy—tracking progress and side effects. Global view of symptoms and disease regression/progression. Better health outcomes due to dynamic care planning. Three or more chronic diseases. Target diagnosis: Diabetes, CHF, COPD, Primary Hypertension, Obesity, and Anxiety. Three or more hospital visits in previous six months. Ability to follow multi-step directions, see a television screen and answer a phone. Hospital stays and ER visits dropped by 90%. When patient results with end stage CHF were removed, hospital stays and ER visits reduced by almost 99%. Estimated healthcare savings from dramatic reduction in hospital stays and ER visits over a 90 day period for the 12 patients was estimated at $315,000. Potential savings projected out over 12 months can be as much as $1,260,000. Hypertensive patients saw a minimum of 20 point drops in average blood pressure readings. Medication reminders increased compliance allowing for directed nutrition and diet counseling. These actions lead to a .5 drop in Hemoglobin A1C, and an average weight loss of 16 pounds and BMI reductions of 2.6. Customized to patients. Modular in design. No one knows patients better than the care team. GTS VirtualHealth helps all patients and excels in managing chronic conditions and advanced diseases. Care teams determine the information they need to help their patients achieve better health. This includes medical device data and peripherals such as blood pressure and oxygen levels. GTS connects it all into one patient dashboard in real-time. No latency. Train the trainer. 24-hour access to experts. GTS ensures your solution works always, hardware is managed, updates take effect and the software to enterprise system integration is solid. Customers become experts in the VirtualHealth solution. We use a train the trainer mentality throughout our experience together to facilitate rapid problem solving and create deep internal knowledge. Provider prescribes critical data capture. Health condition centric. GTS VirtualHealth gives data meaning and eliminates information noise. When patients’ data falls outside of the care team’s health parameters, they know immediately. Real-time, appropriate medical intervention is now possible. Redundant security. Customer choice data center. GTS VirtualHealth exceeds network security standards and by design has built in security redundancy, which also meets HIPAA compliance requirements. GTS believes the customer should be able to choose where the solution lives. Customers can have the solution hosted in their data center environment—simplifying internal technology management and lowering cost of ownership. Connects to existing systems. Side-by-side implementation. GTS's customers take “hoping” for a homogenous tech environment off their wish list. Seamless integration to customer’s enterprise systems such as EMR is made possible through GTS’s patent pending API. GTS's implementation team partners with internal client technology professionals to chart deployment and key connections. They also work with clinical teams to design the virtual health environment for patient needs. GTS VirtualHealth operates everywhere across any mobile device system including iOS, Android and Windows mobility applications. The solution’s flexibility enables relevant IoT (Internet of Things) to connect.